Feridun Hadi Sinirlioğlu was born in Görele in 1956. He graduated from the Faculty of Political Science of the Ankara University in 1978. He completed his M.A. and also obtained Ph. D. in Political Science and International Relations at the Boğaziçi University. Feridun Hadi Sinirlioğlu joined the Ministry of Foreign Affairs in 1982 and started his career at the Human Resources Department as a Candidate Career Diplomat. The same year he also worked in the Multilateral Cultural Relations Department. After completing his military service, he was appointed as Third Secretary to the Multilateral Cultural Relations Department in 1983. He served as Second Secretary/First Secretary at the Turkish Embassy in Hague in 1985 and First Secretary at the Turkish Embassy in Beirut in 1988. Returning to Ankara he worked as First Secretary at the Department responsible for Greece in 1990, First Secretary and Special Advisor to the Deputy Undersecretary for Bilateral Political Affairs in 1991, Advisor to the Undersecretary in 1991/1992 and speechwriter to the Prime Minister in 1992. Following that he was appointed to the UN Turkish Mission in New York where he served as Political Counselor between the years 1992-1996. He became the Chief Foreign Policy Advisor to President Süleyman Demirel in 1996. After serving for the President for 4 years, in 2000 he became Deputy Director General in charge of the Middle East and North Africa. He was appointed as Ambassador of Turkey to Israel in 2002. He became Deputy Under Secretary for Bilateral Political Affairs in 2007. He served as the Undersecretary of the Ministry of Foreign Affairs between 21 August 2009 and 27 August 2015. Following his tenure as the Minister of Foreign Affairs of the interim Government, he served again as the Undersecretary between 24 November 2015 and 25 October 2016. 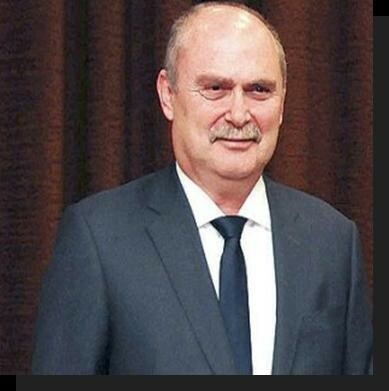 Ambassador Sinirlioğlu is married with two children and speaks fluent English and German.